Don't lift a finger while our crews sort, pack, and recycle or remove all of your junk. Don’t Waste Your Time Sorting Through Junk: Home, estate and office cleanouts are a real headache, especially with New Jersey’s rigorous disposal guidelines. Even after an you’ve sold everything of value in an estate sale, there is always an unexpected accumulation of junk leftover. Is it worth your valuable time to figure out what junk gets recycled, donated, and how to properly dispose of the miscellaneous junk? 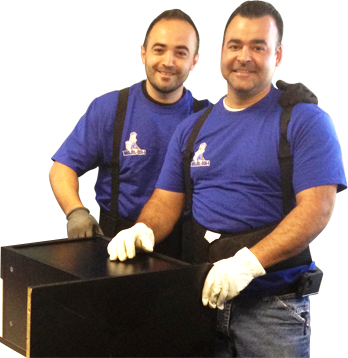 Let our team do the heavy lifting, sweep the area clean, and haul everything away. With Joe Junk, your cleanout can be simple, easy and affordable! For over 75 years we’ve had a reputation for professional, quality service in the central and northern New Jersey area. 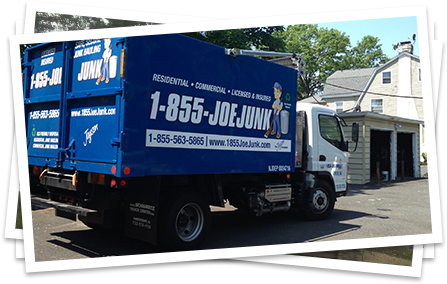 Joe Junk is a family owned and operated business headquartered in Union, NJ providing responsible and ethical disposal of junk. Why Choose 1-855-Joe-Junk For Your NJ Cleanout? We share New Jersey's public spaces, natural resources, sparkling beaches, and "the shore" with you. That's why we are fully licensed and insured for New Jersey junk removal. Our technicians cause minimal disruption to your business or home activities. Our teams are trustworthy and respectful of your home and privacy. Get rid of your junk in a few quick steps: approve your FREE ESTIMATE, schedule your appointment, let our team do the rest!